Britain's Queen Elizabeth II, a notable lover of corgis, is already the proud owner of a corgi, Willow, and two dorgis, Vulcan and Candy. London: Britain's Queen Elizabeth II has adopted a nine-year-old dog she "fell in love with" during regular walks after his owner passed away, according to media reports. The Queen had decided earlier that she would not add to the three dogs she already owns over fears they may trip her and concerns over what would happen to them if something were to happen to her. But she fell in love with the corgi, named Whisper, after Bill Fenwick, an ex-Sandringham gamekeeper and owner of the dog, died. When Mr Fenwick's health was ailing, the Queen, 91, would often take his dogs for walks around the Sandringham grounds. She continued the walks after his death. Mr Fenwick's wife Nancy, who died two years ago, was the Keeper of the Queen's corgis and she is now returning the favour. "The Queen has always had corgis but she made the decision four years ago not to breed any more because she didn't want to have a bad fall. She was also concerned dogs might be left without an owner if anything happened to her," a royal insider was quoted as saying by The Sun. "But she couldn't resist Whisper and now she has asked Bill's family if she can keep him. The Queen bred Whisper and gave him to Nancy and Bill as a gift. She was very fond of them and they became close friends. Nancy died aged 85 and the Queen went to her funeral," he said. 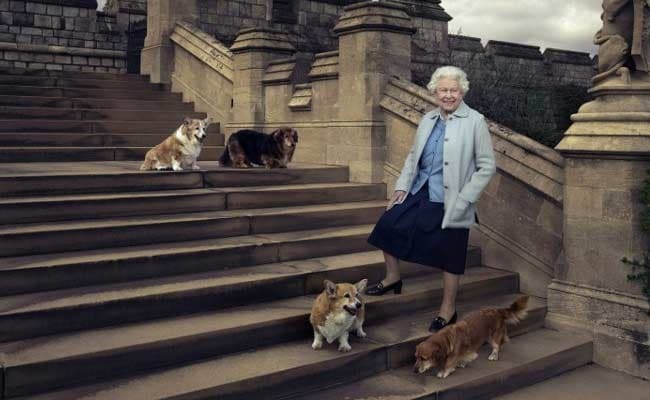 The Queen, a notable lover of corgis, is also the proud owner of another corgi, Willow, and two dorgis, Vulcan and Candy.